Busses tend to leave when they’re ready and/or full, but on the whole they are reasonably frequent. 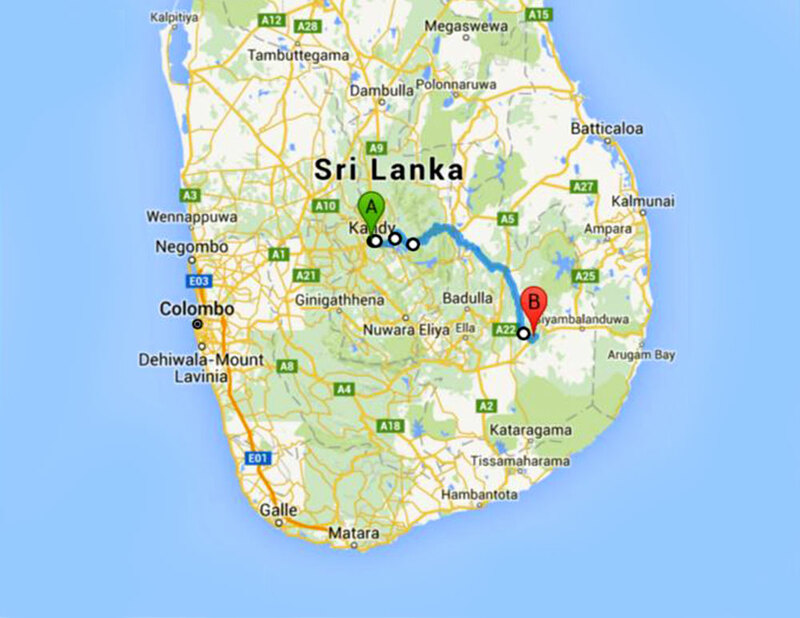 For some routes you can buy tickets using the local mobile networks, and also at places like busbooking.lk however, in truth it is often as simple to just buy it on the bus. I’m not sure how long that route will take, google thinks 2.5 hours by car, so expect at least that on a bus!